Art & Architecture Has Toronto’s Nuit Blanche grown too big for its own good? Has Toronto’s Nuit Blanche grown too big for its own good? "Are you doing Nuit Blanche?" It's a question being asked by hundreds of thousands, maybe millions of Canadians right about now. Perhaps nowhere with more, well, urgency and innate wariness that precedes the start of anything significant than in Edmonton and Toronto. In Edmonton because the Alberta capital, Canada's fifth-largest population centre, is hosting its first-ever Nuit Blanche on Saturday, beginning at 7 p.m. MT and running until 4 a.m. Sunday. In Toronto because the Ontario capital, Canada's largest city, is mounting its 10th annual Scotiabank Nuit Blanche, a sunset-to-sunrise epic starting at 7:15 p.m., ET on Oct. 3. Toronto is not the Canadian metropolis with the longest-running Nuit Blanche. That honour is held by Montreal, which, inspired by the original Nuit Blanche ("white night") in Paris in the fall of 2002, hosted the country's first free "all-night contemporary art thing" in late February, 2003, and has kept on keeping on ever since. But it's Toronto that is now considered "the mother ship of Nuit Blanche," not just nationally but internationally, observes Gwen MacGregor, a Toronto multidisciplinary artist who has participated in Scotiabank Nuit Blanche twice and, in 2014, published a research paper on Nuit Blanche Toronto as perceived by artists and curators as part of her cultural geography studies at the University of Toronto. A few statistics should suffice to explain Toronto's status. Close to, or more than, one million attendees every year from 2008 onward, including almost 200,000 out-of-towners in 2014 (2006 attendance: 450,000). A budget of almost $3-million for 2015, 72 per cent of it from corporations and public grants (2006 budget: $711,000). 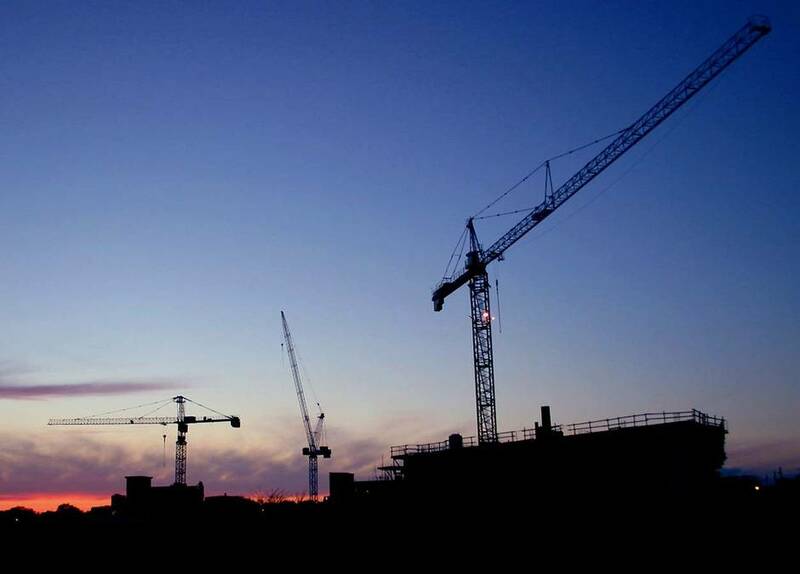 An economic impact of almost $41-million in 2014, according to market researcher Ipsos Reid. More than 100 projects scheduled for the viewing in 2015, involving an estimated 400 artists. Influence? Toronto's success has sparked Nuit Blanche-like startups in at least 15 Canadian communities in the past five years, including Huntsville, Ont., and Kamloops, B.C. This weekend alone, the debut of Edmonton's long night's journey into day is being "matched" by reprises of Nuit Blanche Winnipeg, Nuit Blanche Saskatoon and Sydney's Lumière and Antigonish's Antigonight in Nova Scotia. Brandon Vickerd’s Dance of the Cranes includes illuminated construction cranes moving to music. But with growth comes growing pains. And questions. Has Nuit Blanche Toronto become too big, too successful, with too much art, its raison d’être as an accessible entrée to and celebration of contemporary creativity and culture now just so much patina on what has turned into a sprawling street party/circus? Has it become, as MacGregor argues, more an economic development priority – more about filling hotel rooms, lounges, restaurants, shops – than a vehicle of “creative criticality” for artists, curators and art lovers? Has it translated into richer careers, wider exposure and greater name recognition for artists, more visitors to local galleries and museums, higher enrolments in postsecondary fine arts programs? And what about legacy? Is it enough for Scotiabank Nuit Blanche to be, in essence, a transitory, ephemeral, evanescent happening? Or does there need to be a more permanent, perhaps material “residue”? Beginning in 2013, Nuit began to extend (briefly) the exhibition of some installations it thought could withstand day-time scrutiny minus the Nuit Blanche frenzy and hype. This year, 14 projects, a record, are being held over through Oct. 12. Is this enough? (Ipsos reports that last year 270,000 persons visited 10 “extended projects,” exclusive of attending Nuit Blanche). Should more resources perhaps be “funnelled into a broader, sustainable strategy to install an awareness of contemporary art in the more general cultural landscape,” as one Toronto critic has suggested? Or does the accumulation of these happenings, the climate they create year upon year, constitute the legacy? 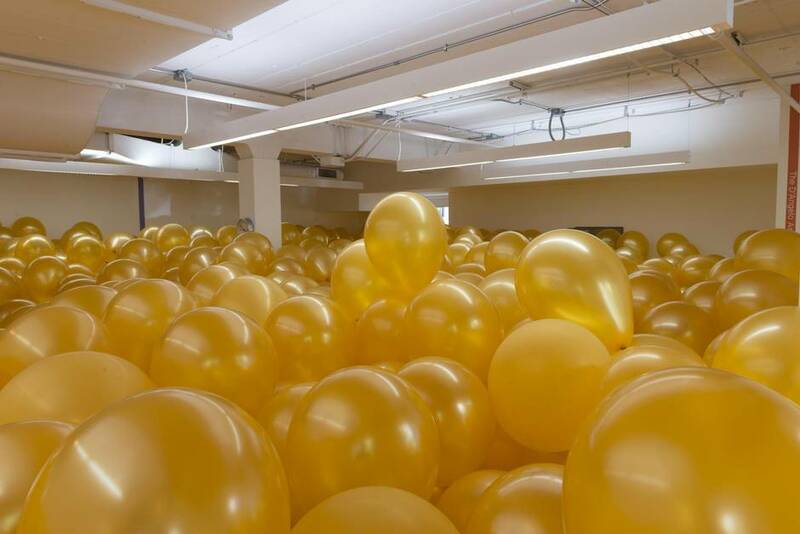 At Edmonton’s Nuit Blanche this weekend will be Half the Air in a Given Space by artist Martin Creed, which features hundreds of balloons stuffed into two pedways. Ten years out, it’s unlikely Toronto would entertain the biennial route for its Nuit Blanche. Indeed, preparations for the 2016 edition are well under way, with an announcement of its curators due in a couple of months, says Kristine Germann, programming manager (acting) of city cultural events for Toronto. (Unlike in Edmonton, Nuit Toronto is co-odinated by Toronto’s Special Events Office, a subsidiary of the city’s economic development and culture division.) Meanwhile, “we’ve engaged most of our curators for 2017 and are already working on 2018.” Not bad, in other words, for an event originally conceived as a one-off to mark the 2005-06 T.O. Live with Culture celebration, and whose organizers predicted would lure maybe 250,000 night owls. Today, Germann likes to say Nuit Blanche organizers “think of the event as for everybody between one and 99.” But, in fact, 18-to-34-year-olds have constituted the single largest demographic of visitors to Scotiabank Nuit Blanche every year since 2007, anywhere from 54 to 67 per cent of total audience. Undoubtedly, many in this demographic have a genuine interest in the myriad forms of contemporary art and are keen to experience it outside the confines of artist-run centres, commercial galleries and sepulchral museums. MacGregor thinks that the perception in recent years of Nuit Blanche as a boozy bacchanal with a garnish of visual arts “is an indication of a bigger issue.” Toronto, to her eyes, is “a pretty regulated city in terms of what we’re allowed to do and when we’re allowed to do it. One of the great things about Nuit Blanche Toronto is that there seems to be a bit of a relaxing of those things.” It more or less gives a once-a-year sanction to moms and dads, brothers and sisters, to roll bleary-eyed into bed at an hour when they would usually be waking up or sound asleep. Germann, a graduate of Vancouver’s Emily Carr University of Art + Design, says she is “pretty okay and actually quite delighted that [so] many people want to come out and … be engaged by contemporary art.” And “for that experience of being a little bit more alone with the art,” she recommends waiting until after 4 a.m., when there is a pronounced thinning of the crowd. Certainly there will be no lack of interesting art Oct. 3-4, from Harbourfront and Allan Gardens to Queen’s Park Circle, the Art Gallery of Ontario and Rosedale Heights School of the Arts. For the first time, Nuit Blanche is giving over an entire exhibition zone to one artist, New York/Paris-based street maestro JR, who is doing installation, photo, film and video work at City Hall, the historic Campbell House (University Avenue and Queen Street) and Nathan Phillips Square, among other locales. To celebrate its 10th iteration, Nuit also is co-producing 10 for 10th, a multipart extravaganza of performance pieces, interactive installations, sound sculpture and a 50,000-piece LEGO construction, one work per site at Artscape Wychwood Barns, the AGO, the Ontario College of Art and Design University, the Gladstone Hotel and six other locations. Also new this year: Nuit’s first mobile volcano (with real lava), created by Robert Wysocki, located on a barge off Sugar Beach Park. “A festival can devolve and lose quality,” observes Barbara Fischer, executive director/chief curator of the Justina M. Barnicke Gallery at Hart House (University of Toronto). An exhibitor at every Nuit Blanche since its inception, Fischer doesn’t think this has happened with the October event – an opinion echoed by Dyment, who says he usually has “half a dozen truly incredible moments each year” when he would be content just with one.